We Still Believe USA !! A storm last month did more than light up the city's skies -- it hit the Statue of Liberty, a moment caught by a photographer. Jay Fine, who has hoped to snap a shot of lightning hitting the statue for years, was waiting in Battery Park City on Sept. 22. He spent nearly two hours taking one photo after another before finally getting the money shot at 8:45 p.m. Lightning hits the Statue of Liberty on Sept. 22.
one of 100 Harriman State Park relief camps in the 1920s. Beginning today, Friday, April 2, the Valley Cottage Library's gallery will be hosting a one month exhibit of historic and contemporary photographs, paintings, postcards, and drawings depicting some of the treasures of the Palisades Interstate Park Commission's 28 state parks and historic sites. The centerpiece of the exhibit is a digitally scanned and stitched reproduction of a 16 foot panoramic pen and ink masterfully executed drawing from an unknown artist working in the late 1930s, It outlines the Hudson River waterfront beginning at Nyack Beach State Park and extending along the water until it ascends to Rockland Lake. The images are from the extensive Palisades Archives collection that documents Palisades' rich history. March 29 - June 28, 2009In celebration of the 400th anniversary of Henry Hudson’s historic exploration of the waterway that bears his name, the KMA will present three solo exhibitions during the year to showcase contemporary artwork inspired by the Hudson River. All three artists live along the river’s banks and draw inspiration from its beauty, its ecology, and its rich maritime history. 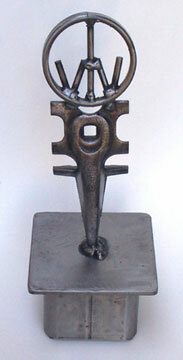 Nancy Cohen is the first artist featured in the series. Using handmade colored paper, Cohen transforms the Project Gallery into a metaphorical waterway. Perspectives on Salinity: River from Within articulates the confluence where fresh water from the Adirondacks meets salt water from the Atlantic. The result is a dramatic installation that surrounds the viewer with waves of shifting color and subtle movement. Floating hotels on local waters lift spirits and conjure another era. THE luxury liners that once crossed the Atlantic at a regular clip are of course a thing of the past, long since converted to cruise ships or disappeared entirely. And since 2005, some New York-bound cruise ships have been hanging a sharp right as they enter the harbor, heading not for the West Side’s Passenger Ship Terminal but for Red Hook, Brooklyn. 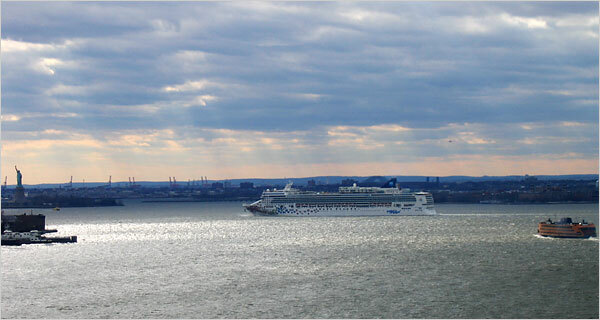 Still, many of them continue to make their way up the Hudson River en route to the piers in the West 40s and 50s. And as seen from the window of a Brooklyn Heights apartment with a sweeping view of the harbor, these ghost ships, as they almost beg to be called, are a haunting, almost mystical sight. They typically swim into view sometime after 7 a.m., languid wedding cakes moving silently upriver. If the sun is rising, they are washed in a surreal lemony light. On foggy mornings, they are barely visible through the haze. They appear and disappear like great, slow-moving mirages, seemingly so evanescent they could vanish in the blink of an eye. Though these vessels are typically about a thousand feet long, from such a distance they look scarcely bigger than a child’s bath toy. The colorful scrawl on their white hulls is indecipherable from so far away. And although you know that at this very moment several thousand passengers are milling about the vast decks, savoring the final moments of their journey, all this activity needs to be imagined, taken on faith. Ghost ships give rise to romantic imaginings. They recall the heady days when the comings and goings of ocean liners and their starry-eyed occupants were big news, when every paper worth its salt had a ships’ news reporter and flashbulbs from bulky Speed Graphics, cameras of a now-bygone era, bathed arriving princes and showgirls and millionaires in sudden bursts of brightness. They bring to mind the pop of Champagne corks, the confetti, the giddiness, the hubbub. The golden age of the luxury liner was a hard act to follow. But the ghost ships have their own quiet allure. To suddenly catch sight of one of these ships as you’re sipping coffee and desultorily leafing through the newspaper seems a small early-morning miracle. And once in a while, as you’re savoring your good fortune, out of the corner of your eye you spot a second ship. It feels like a lucky way to start the day. 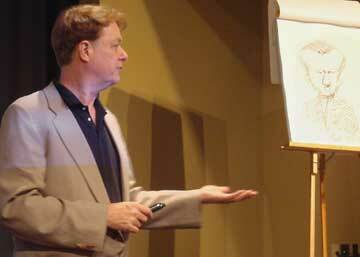 The Hudson Valley Programmers Group recently wrapped up an exciting screening and lecture series withOscar® nominated animator Bill Plympton, April 20-23. Plympton appeared at Marist College, SUNY New Paltz, Bard College and Onteora High School, sharing some of his favorite films and inspiring students and community members with his stories and advice. These events were free and open to the general public, giving many people the opportunity to see incredible independent animated shorts such as Guide Dog, Shuteye Hotel, Horn Dog, Santa Claus - the Fascist Years, and even a sneak peek of his newest animated feature Idiots and Angels. Plympton's lectures and Q&A sessions were both hilarious and inspirational. 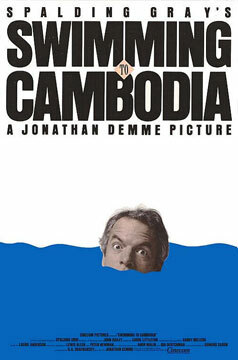 He outlined the "Plympton Dogma", three rules that he applies to his filmmaking process. Try to make the film: 1. Short. 2. Cheap. and 3. Funny. (rules that he jokingly stated "also describe my girlfriends"). He answered questions about his drawing process, the ups and downs of the independent film world, and anything else that the audience was curious about. His approachability was one of the biggest highlights, especially at the end of the event when he patiently drew his lovably pitiful dog character on a postcard for each person in the crowd. During this time, some people took the opportunity to ask him questions about their own work. One high school student at the Marist event even got Plympton to look through her sketchbook and give her personal feedback, which he enthusiastically did. Plympton is recognized as one of America's foremost illustrators, cartoonists and animators. 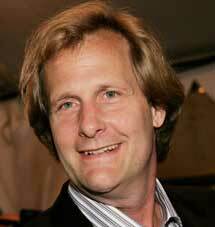 His highly successful films have appeared with frenzied frequency at film festivals, on television and online. HVPG events are underwritten in part by the New York State Council on the Arts and adminsitered by the Woodstock Film Festival. In celebration of documentary project Adventures in Plymptoons!, a film currently in production about Plympton and his work. 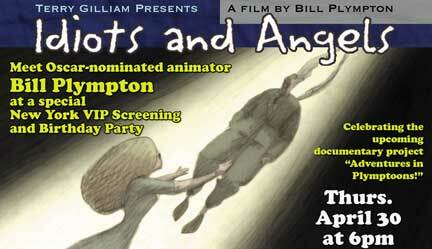 Everyone who attends will receive a FREE drawing by Bill Plympton! IDIOTS AND ANGELS is a dark comedy about a man's battle for his soul. Angel is a selfish, abusive, morally bankrupt man who hangs out at his local bar, berating the other patrons. One day, Angel mysteriously wakes up with a pair of wings on his back. The wings make him do good deeds, contrary to his nature. He desperately tries to rid himself of the good wings, but eventually finds himself fighting those who view the wings as their ticket to fame and fortune. Monday, April 27th at 7pm, join our host Stephen Hays of 120dbFilms and special guests from the cast for a screening of THE ANSWER MAN and reception with delectable hors d'oeuvres and complimentary CÎROC Vodka to benefit the 10th Anniversary of the Woodstock Film Festival. 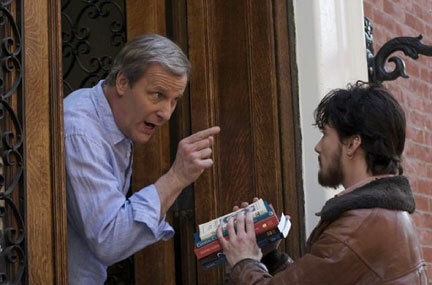 John Hindman's comedy, THE ANSWER MAN follows author Arlen Faber (Jeff Daniels), who has gained fame from penning a book that has redefined spirituality. His life as a recluse becomes entangled when a chiropractor (Lauren Graham) and a recovering alcoholic (Lou Taylor Pucci) turn to him for guidance. The film also stars Lauren Graham (Flash of Genius, Evan Almighty), Lou Taylor Pucci (Explicit Ills, Personal Velocity), Kat Dennings (Nick and Norah’s Infinite Playlist) and Olivia Thirlby (Juno). 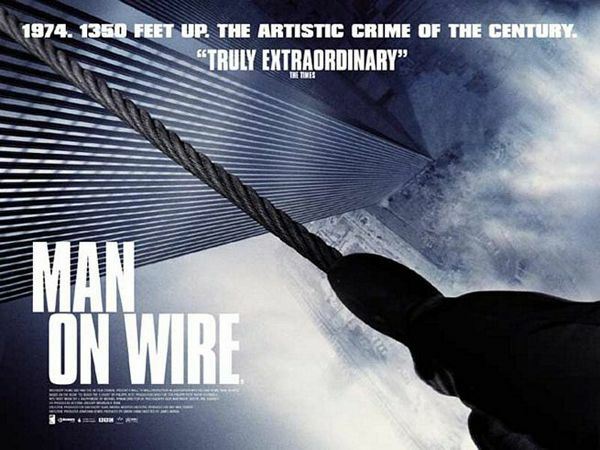 MAN ON WIRE, the Oscar®-winning documentary, will be presented by WFF at Woodstock’s Tinker Street Cinema for a special matinee screening May 2nd at 3pm. The film will be followed by an intimate Q&A with high wire legend Philippe Petit; presented by and benefiting the 10th Anniversary of The Woodstock Film Festival. 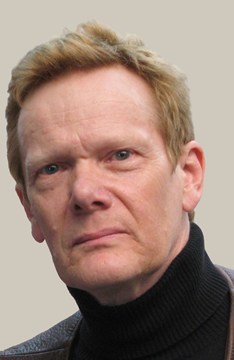 On August 7th 1974, Philippe Petit, stepped out on a steel cable illegally rigged between New York’s Twin Towers, then the world’s tallest buildings. After nearly an hour of performing on the high wire, he was arrested, taken for psychological evaluation, and brought to jail for the spectacular event that became known as “the artistic crime of the century.” Based on Petit’s book To Reach the Clouds (newly released in paperback and re-titledMan on Wire), the film provides a rare glimpse into this audacious high-wire world with still photographs, stunning footage and reenactments. In a recent Daily Freeman article, Philippe expressed his excitement about the upcoming screening in Woodstock. For tickets to the screening of MAN ON WIRE, click here. *As part of the tenth Anniversary celebration of the Woodstock Film Festival, several amazing items will be auctioned of this year including a MAN ON WIRE poster signed by Philippe Petit. Sascha Paladino's wonderful documentary THROW DOWN YOUR HEART will screen at the IFC Center in Manhattan from April 24-28. Bela Fleck will appear in person Friday-Saturday at 7:20 & 9:45, and Sunday at 2:40! Argot Pictures is distributing. See their website for the complete release schedule. In a boundary-breaking musical adventure, award-winning banjo virtuoso Bela Fleck journeys to Africa to explore the little-known roots of the instrument. As he travels throughout the continent, he meets a glorious array of musicians, from superstars like Malian diva Oumou Sangare, to humble families that play their own makeshift instruments, to a master of a rare 12-foot xylophone. And while they may not understand each other's speech, their exhilarating spontaneous collaborations show that they do indeed share a rich language. Your donations will be met by matching funds. Your support will help HVFC continue providing free support to independent & studio features, short films, student projects, TV ads and regional filmmakers. HVFC provides a free online directory, newsletter blurbs, casting and crew calls, job opportunities and much more. Let's all work together to make the Hudson Valley "Hollywood on the Hudson"! The Felice Brothers come to us from the Catskill Mountains where a homegrown sound has been working its way through the bloodlines for generations. 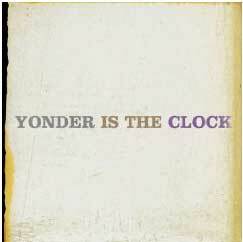 Titled with a phrase drawn from the pages of Mark Twain, "Yonder Is The Clock" is teeming with tales of love, death, betrayal, baseball, train stations, phantoms, pandemics, jail cells, rolling rivers, and frozen winter nights. This is music that hasn't lost sight of the history of the land from which it came, and that quality alone makes The Felice Brothers the next great American band. Woodstocker and former Zen Buddhist monk Clark Strand's new book How to Believe in God: Whether You Believe in Religion or Not is now available at a bookstore near you. 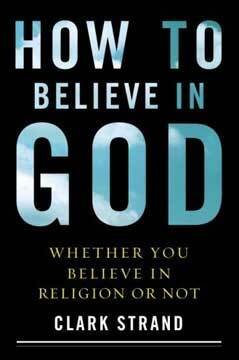 “How to Believe in God (Whether You Believe in Religion or Not) is a timely, beautifully crafted book. It’s especially relevant for Western seekers on either side of the biblical divide. For practicing Christians and Jews, the book will bring a stunning freshness to their understanding of the Bible. For those who have overlooked (or even rejected) the gospel of the Old and New Testaments, How to Believe in God will open hearts and minds to the profound treasures found within the Bible’s parables and lessons. And for those who have been trying to fill ‘the God-shaped hole’ with anything but religion, this book will be food for the soul without the dogmatic calories!” —Elizabeth Lesser, author of Broken Open: How Difficult Times Can Help Us Grow and The Seeker’s Guide and co-founder of the Omega Institute. The Woodstock FIlm Festival is thrilled to have CÎROC Vodka back on board as a sponsor of the 10th Annual Woodstock Film Festival and special events including The Answer Man screening at Sohoo House. CÎROC Vodka is an ultra-premium vodka that celebrates the uncommon on every level; from the distilled Mauzac Blanc and Ugni Blanc grapes, grown in the historic Gaillac and Cognac regions of France, to the innovative cold fermentation and maceration techniques usually found in winemaking, to its subtle aromatics and smooth, naturally refined tastes. CÎROC Vodka releases the true flavors of every cocktail. The sweet complexity of the distilled grapes draw out and complement the flavors of Whatever CÎROC Vodka is mixed with. Add to the CÎROC Vodka's distinctly clean finish and absence of alcohol burn, and you have a most uncommon vodka cocktail experience. Sunday, January 25, 2009 2 to 4 p.m.
9 a.m. to 4 p.m. daily, (except holidays). Also open prior to all theatre performances. Tom Doyle took up landscape photography full-time after retiring as a lieutenant from the New York City Police Department. During his 28-year career tenure with the police department, he spent three years in the Intelligence Division doing surveillance photography. Tom’s work has been shown in several area galleries, including Arlington Gallery in Poughkeepsie and the Hudson Valley Gallery in Cornwall-on-Hudson, New York, and has won professional print competitions including 2007 Print of the Year from the Dutchess Regional Professional Photographer’s Association and First and Second Place Awards from the Hudson Valley Region of the New York State Professional Photographer’s Society’s Spring 2008 Print Competition. Tom shoots both film and digital in a 35mm format.